QR code is something that you will come across quite frequently these days. If you own a smartphone and if it has a camera with good autofocus sensor you can turn your smartphone into a powerful QR code scanner. Out of hundreds of QR code or Barcode scanners only few of them captures QR code information properly. For these reason we picked three of the best QR code readers. These apps are free and easy to use. i-nigma QR & Barcode Scanner probably has been number one QR Code reader for code scanning category of android apps for the longest time. Packed with numerous features i-nigma also provides a robust scanning technology. Along with QR codes and Data Matrixes i-nigma also scans UPC/EAN or Supermarket codes, which is quite handy if you like to know about the products details before paying for it. I-nigma is programmed based on the 3GVision’s bar code decoding engine, which has become that standard for most of the Japanese handsets. I-nigma also uses a GPS to show local information. Although being free i-nigma is free of annoying ads pop-ups. The only negative thing that we found about i-nigma is its excessive requirements of permissions. Although the developers claims that it is required for better search results and some of its important features. The developer guarantees no leaking of personal information without user’s direct permission. If what they claim is true i-nigma is easily the best QR code reader for all Android devices. Yes you read it right, it’s a Barcode Scanner! Although officially a Barcode scanner this app can also scans QR codes and Data Matrix containing contact information, URL, Price product information etc. Barcode scanner has the simplest looking, user-friendly interface. Just point it towards the Code and it will capture the code with accurate information. With more than 450,000 positive reviews on Play Store Barcode Scanner is by far the most dependable QR code Scanner for millions of users. Barcode Scanner is packed with features like sharing contacts, applications etc. 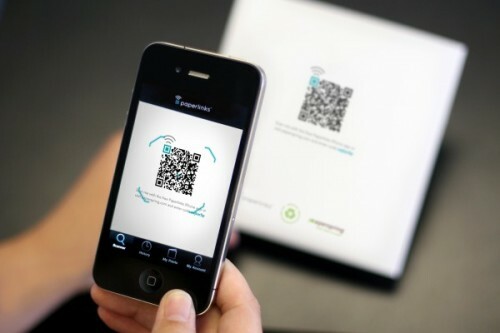 by generating QR codes on the phone display which can be scanned by other devices. Barcode Scanner also has product search feature. What makes this app so efficient is that with it you can find out the bugs in your device that might be causing failed attempt of code scanning. This method eventually leads to good results for most android devices with working cameras. The features made us to feature this app in Best QR Code reader. QR Droid has been awarded 5 out of 5 by PCWorld and Android Magazine and we also included this in our list of best QR code reader. QR Droid provides a widget for quicker access to its features. QR Droid scans QR codes fast and accurately, has product price comparison feature like the other two apps that you read already. What’s different about this app is the ability to gain access to private Wi-Fi networks by scanning codes. QR droid works very well for visual codes and scans code from every direction. QR Droid is also free and has no ads on its user-friendly attractive interface. Let us know in comment which you think is Best QR Code reader.